That's me, Tori Espensen. During the day (and let's be honest, a whole bunch of nights), I'm a postdoctoral fellow in Psychiatry, but I'm a neuroscientist, not a psychiatrist. 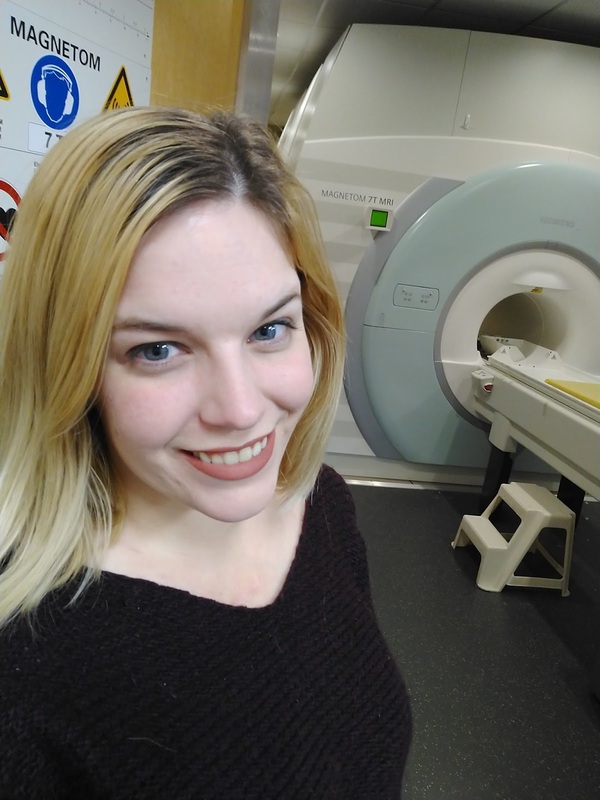 Basically, I study the biological bases of mental disorders; more specifically, I use functional magnetic resonance imaging to study the way that the brains of patients with schizophrenia process visual stimuli differently. That's just one of my many interests in science, though. I love branching out and reading about things that don't really have anything to do with my degree. My non-science interests include college football, baking cupcakes that taste like cocktails, true crime podcasts and TV, trying to convince people I'm not a crazy cat lady, and puns.